After finishing college Conan Doyle entered the medical faculty in the University of Edinburgh. Being a third year student, he sailed to the Arctic as a ship’s doctor. That voyage gave him a lot of practical knowledge. After graduating from the University, he set off for Western Africa also on board the ship. When Arthur Conan Doyle came back, he started his medical practice in a small English town Southsea. Being a private doctor, he often had nothing to do as the patients were very rare. One day he was very bored. 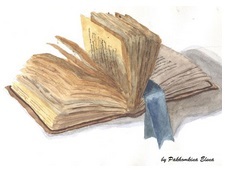 He tried to amuse himself and started reading a detective story, but it didn’t help. The story was too boring. The simple plot and silly detective made him annoyed. What is more, the detective didn’t investigate the murder at all, the crime was solved by chance. He was deep in thought. What can make a detective story interesting? It dawned on him. What if readers knew the clues, they would be able to follow the logic a detective, racking their brains. If you remember, A. Conan Doyle had a lot of practical knowledge. He also had some experience of work with poisons. He dealt with dead people and knew some strange cases. Having a talent of story-telling, which he inherited from his mother, he decided to try writing a detective story. He was clever enough to create Sherlock Holmes who was the prototype of his favourite college professor. That professor, called Bell, could ….. the patient’s illness by just looking at them. Sherlock Holmes had an assistant, Dr. Watson, who was not so clever. He often asked questions and made guesses, thereby helping readers make their own investigation. Sherlock Holmes used the method of deduction and liked to explain his every step in his pursuit of a criminal. It was a new way of writing a detective story. No wonder that his first detective story “A Study in Scarlet” (Этюд в багровых тонах), published in the year of 1887, was a success. In 1891 Conan Doyle gave up his work as a doctor and started his literary career. 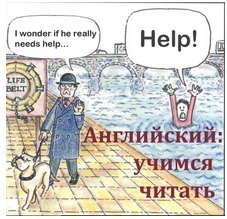 Now «The Adventures of Sherlock Holmes» are well-known all over the world. Let us read them in English, shall we? You can choose the level of adaptation that suits you best. Arthur Conan Doyle died on the 7th of July in 1930. But his famous detective Sherlock Holmes together with Dr. Watson continue to live up till now and are among the favourite characters of the English literature. They live at 221B in Baker Street where are waiting for you to join their conversation about one of the cases. If you happen to be in London, don’t forget to visit the museum of Sherlock Holmes. The address is 221B, Baker Street. 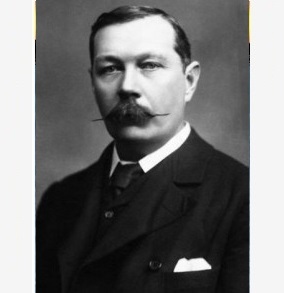 You have read the short biography of Arthur Conan Doyle. But watch the interview with Arthur Conan Doyle and listen to your favourite write alive! I’ve took a lot of information about him. Arthur Conan Doyle is one of the best writers in my life. He was really clever!